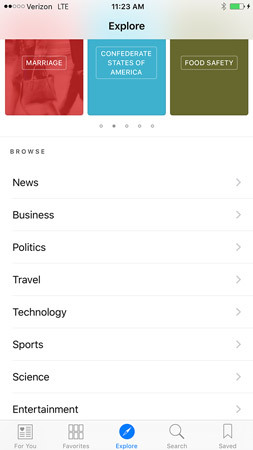 The improved News app on your iPhone has many new features with the arrival of iOS 9. The good part about the News app is that it is customizable just for you! But, in order to get the most out of it, you need to interact with it a bit. 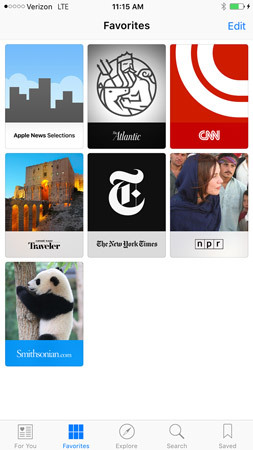 Favorites allows you to select the topics and channels you prefer to include in Your News. With the News app open, tap the Favorites button at the bottom of the screen. This screen appears. Tap an item to delete it from Favorites and then tap Done. Tap an item to view it. You can add an item to Favorites by tapping the Explore button and then selecting a channel. Using the Explore feature, you can select channels to add to Favorites. With the News app open, tap Explore at the bottom of the screen. The options appear. 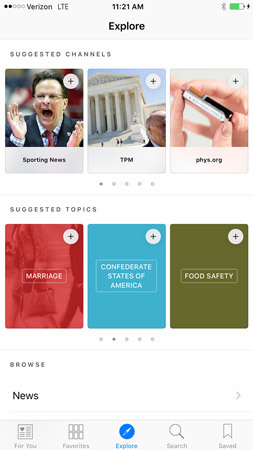 Tap a Suggested Topic to explore it. Tap the Back button, and then tap an item in the Browse list to display channels related to a topic. Tap a channel to add it to Favorites. You can preview stories before opening them, which saves some download time. In Settings, tap News and then be sure the Show Story Previews switch is set to On (which it is by default). If you have a particular news story you’d like to follow, you can search for it from within News. With the app open, tap the Search button at the bottom of the screen. 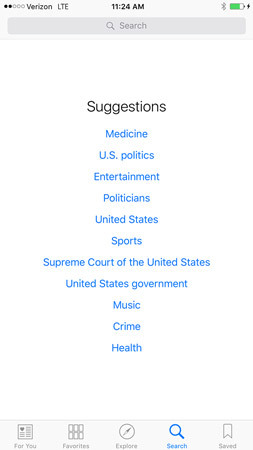 You’re presented with a Search field as well as some Suggestions. Enter a search term or phrase and press Enter or tap an item in the search results. 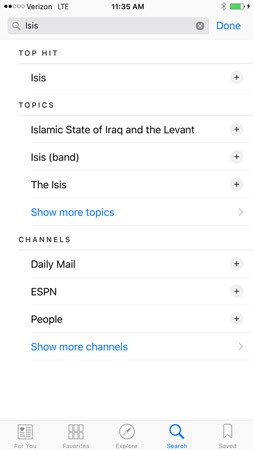 If you don’t find what you want in the results, tap the Show More Topics or Show More Channels links in the results list. It’s handy to be able to save news stories to read offline at any time. 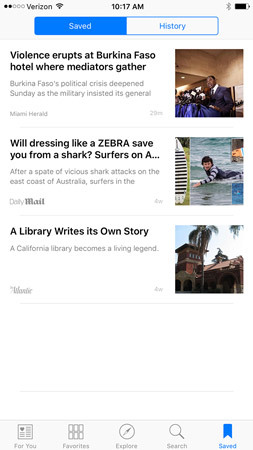 In the News app, open a news story. Tap the Save button in the bottom-right corner. Tap the Back button to return to the News app and then tap the Saved button. Your saved stories are displayed.